Cup Final report- beware, not pretty reading! Cup Final Recollections from the 1950s. How do our opponents fare in League Cup finals? The Davie Cooper final? Enough is enough! Ticketing arrangements for the final - details here. The WellTrust acquired all the strips which were used at the CIS Cup Semi Final. A selection of semi-final programmes. 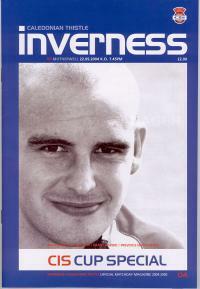 ICT were allowed to host this encounter at Caledonian Stadium rather than Pittodrie where they had been playing their league games.Despite this ‘return home’ less than 1500 fans saw Foran, McDonald and McBride score to send us to the fourth round. Our trek to away grounds continued with a trip to Livi.The Lions were well and truly tamed as Dorado (og), Foran(2), O'Donnell and Wright sent us into the semi final. In a thrilling match in Edinburgh,Craigan, Foran and then Fitzpatrick with an goal in the dying seconds of extra time set up our first League Cup Final for fifty years. Columnist Kenny Angove covered our cup run in some of his weekly pieces – take your pick. 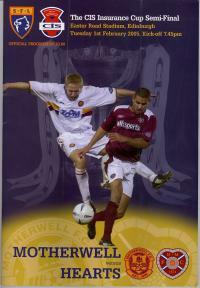 A look back at the ‘Well’s previous League Cup semi-final outings. 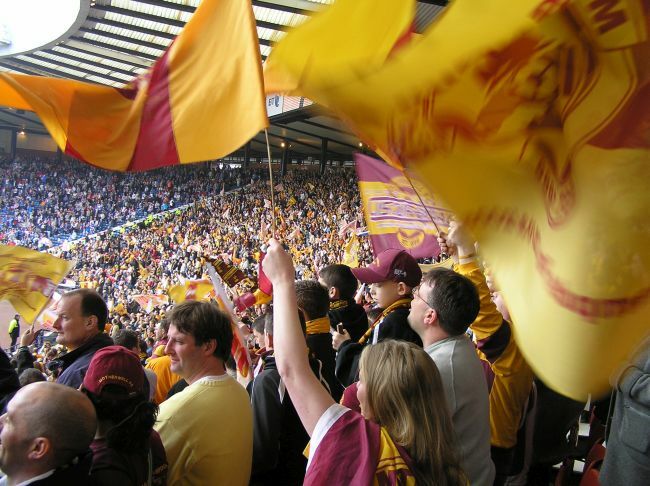 Those Old Firm glory hunters have no idea what a final means to ‘Well fans.